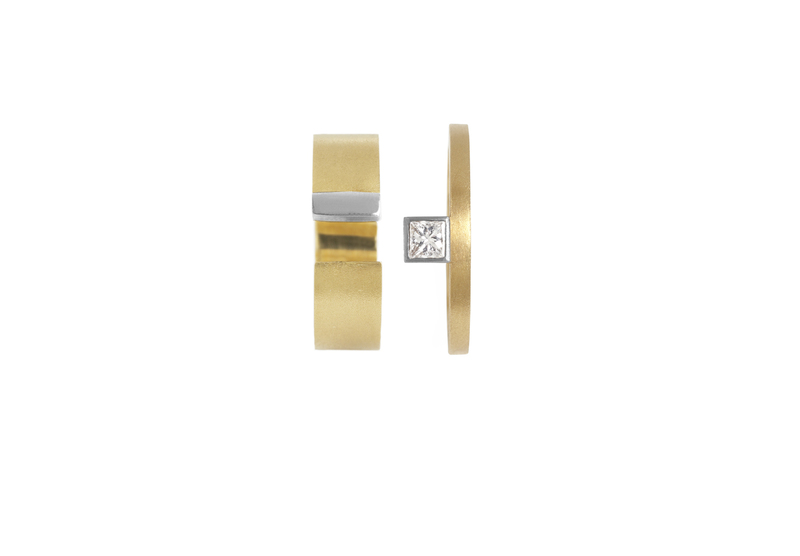 These interlocking rings, in a combination of colours and gauges of gold, can be worn together or individually, making them delightfully versatile. 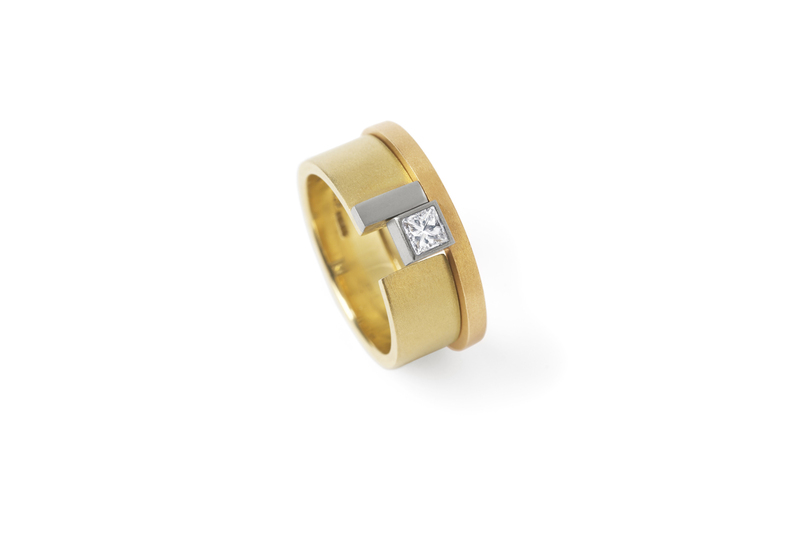 The simple, stone set ring slides securely into the gap in the wider band, which is itself embellished with a stripe of contrasting gold. 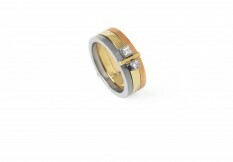 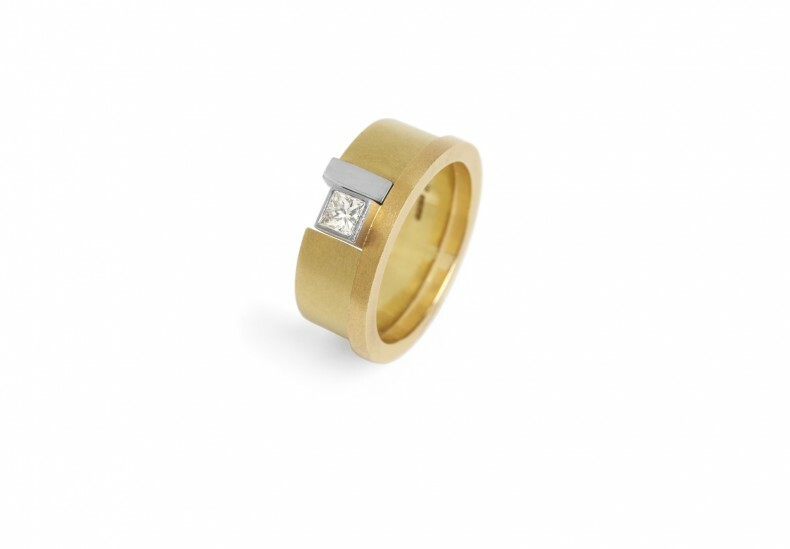 Shown in: 18ct yellow and white gold and diamond.